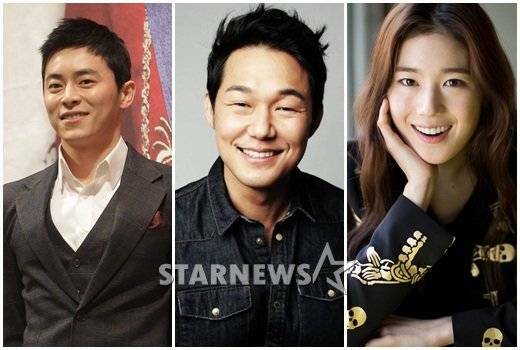 Jo Jung-suk, Park Sung-woong and Jung Eun-chae have been cast for the movie "The King's Wrath". "The King's Wrath" is a movie about one who wants to kill, to save and to live. Hyun Bin takes on the roles of the king, Jung Jae-young as Gap-soo and now Jo Jung-suk, Park Sung-woong and Jung Eun-chae. Jo Jung-suk takes on the role of Eul-soo, a killer born and raised. He is one who is assigned with the assassination of Jeong Jo the king. Park Sung-woong takes on the role of captain Hong Gook-yeong. He is about to put on a totally different image from the movie "A New World". Jung Eun-chae takes on the role of Wol-hye, a palace maid who takes care of the king's costume. Meanwhile, "The King's Wrath" will start filming later this year. ""The King's Wrath" starring Jo Jung-suk, Park Sung-woong and Jung Eun-chae"
Kim Gyeo-wool joins "Ruby's Ring"